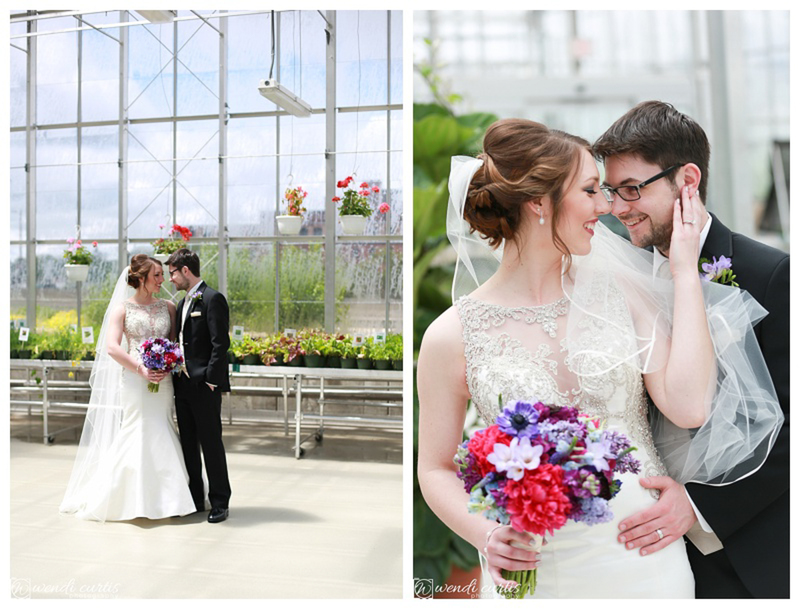 The weather in Michigan is so unpredictable! 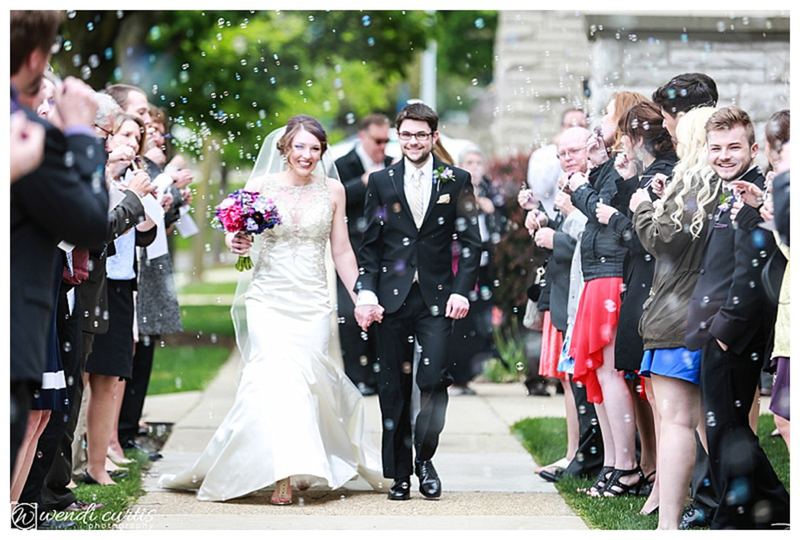 On this May wedding day it went from sleet to snow to sunny then to hail and the wind was bitter! 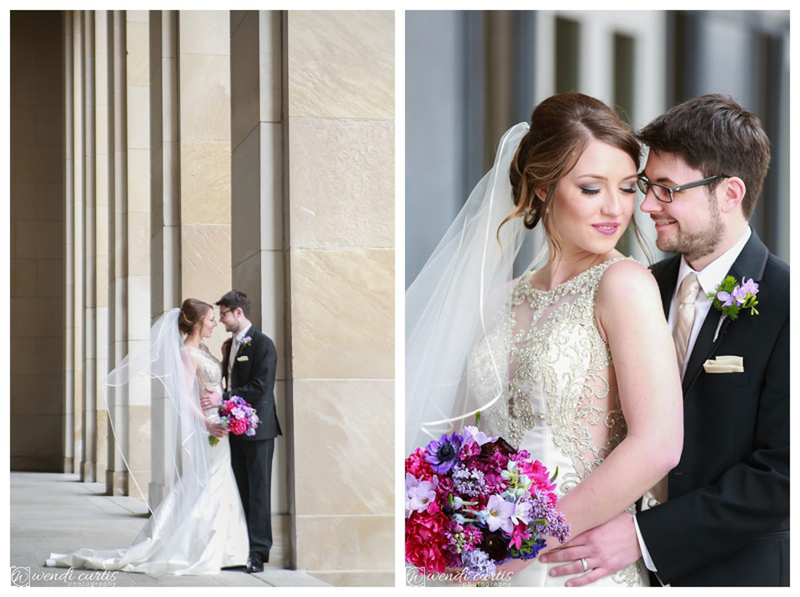 While we would expect this for a winter wedding, it was a crazy spring realization. 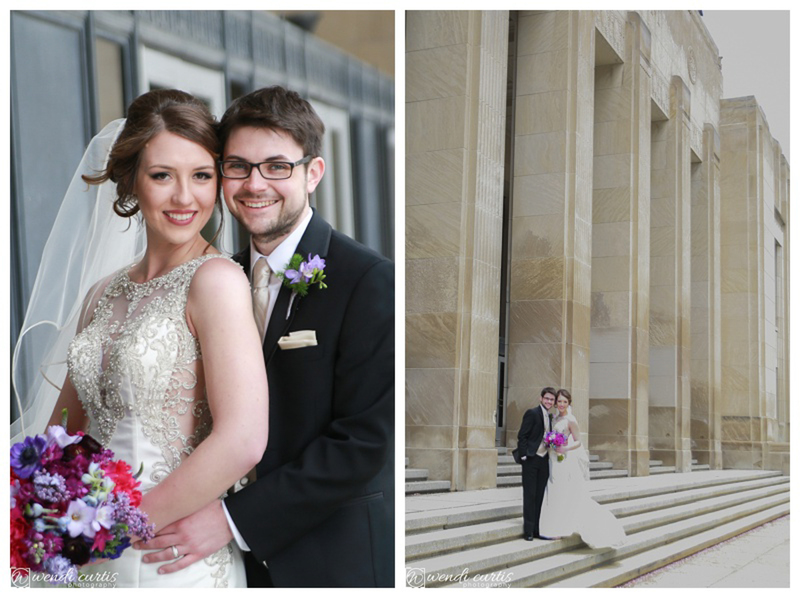 But no matter how cold it was, the weather was no match for the warmth of Mitchell and Stacy’s love! 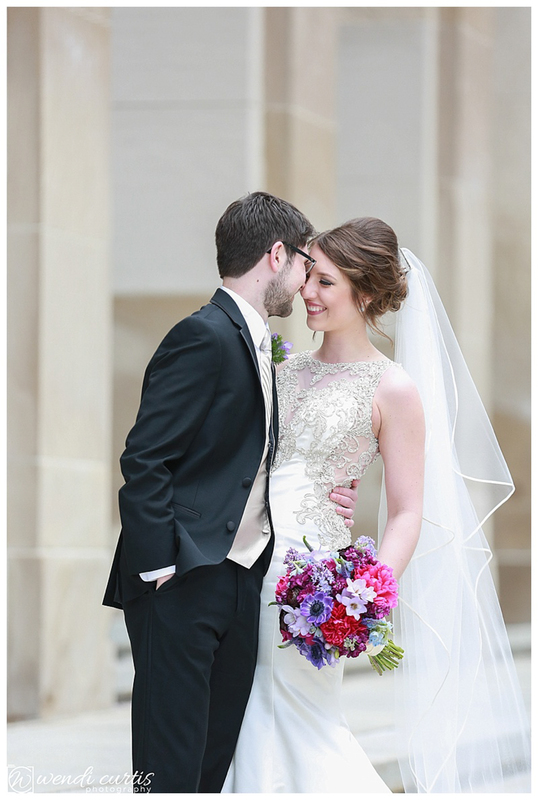 Stacy was a vision in her uniquely gorgeous wedding dress from Becker’s Bridal. 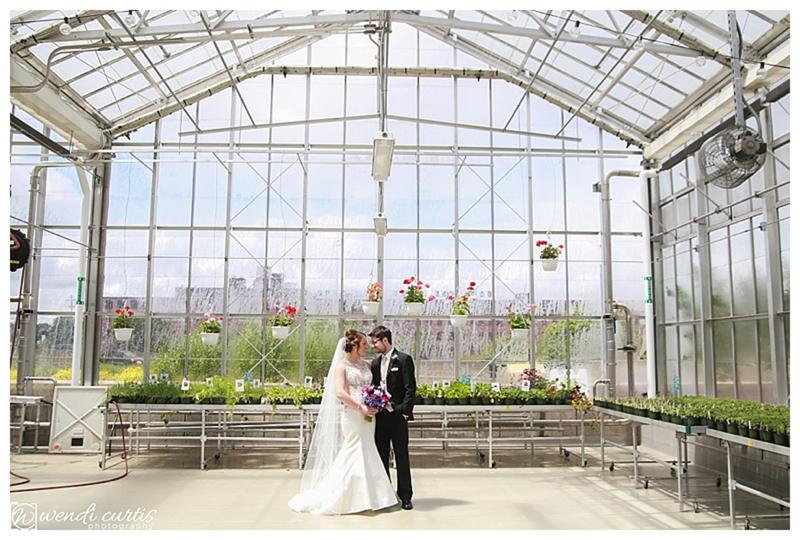 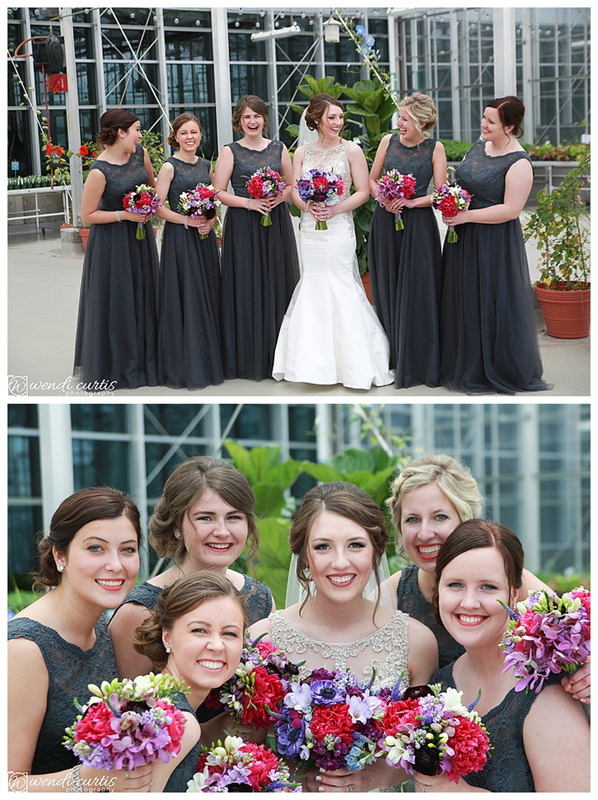 Elyse, her wedding planner and florist from Posh Petals, made sure that all the details were accounted for. 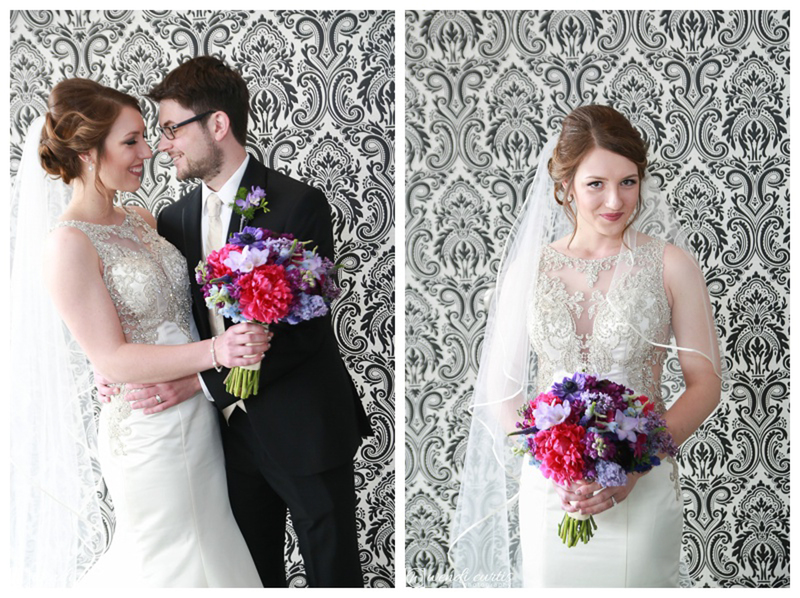 The ladies all got their stunning makeup and hair done by the talented stylists at The Parlour in City Flats Hotel. 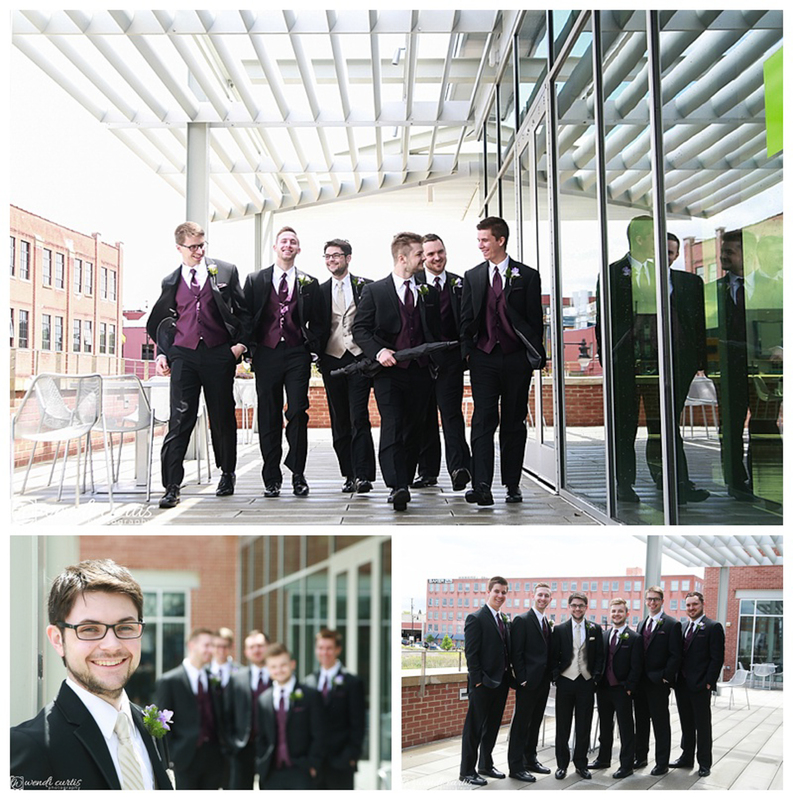 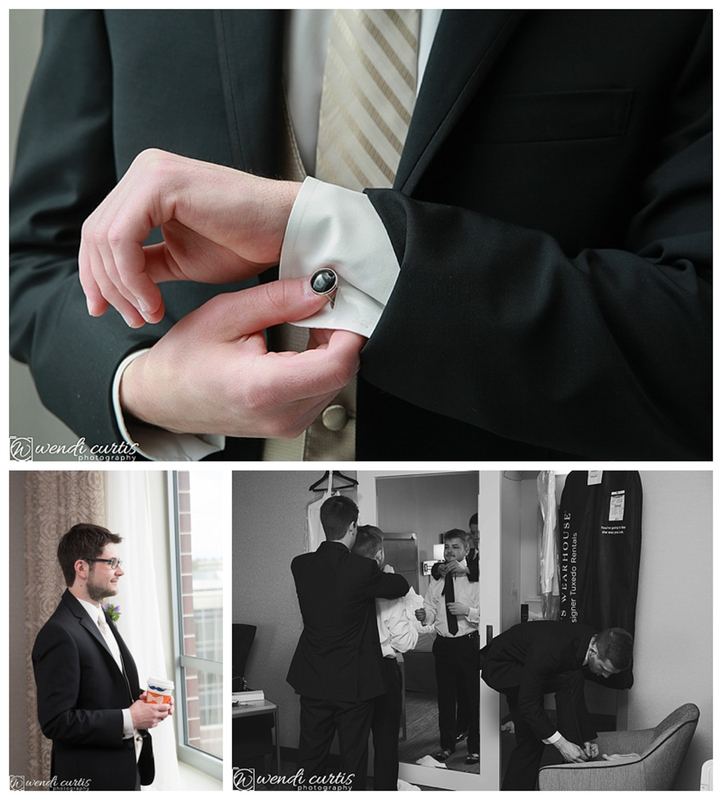 The bridal party got ready at the modern, all new Hampton Inn downtown. 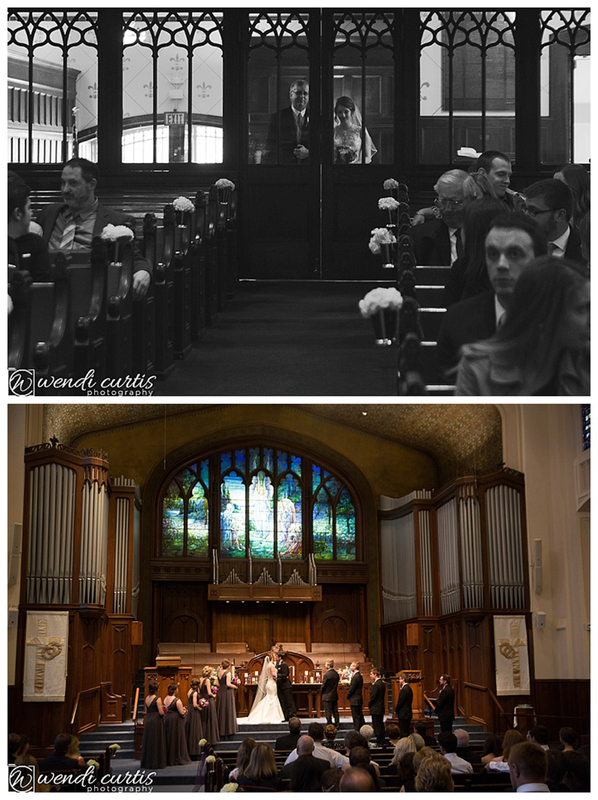 The ceremony was held at the stunning First United Methodist Church, LOVE those dramatic windows!! 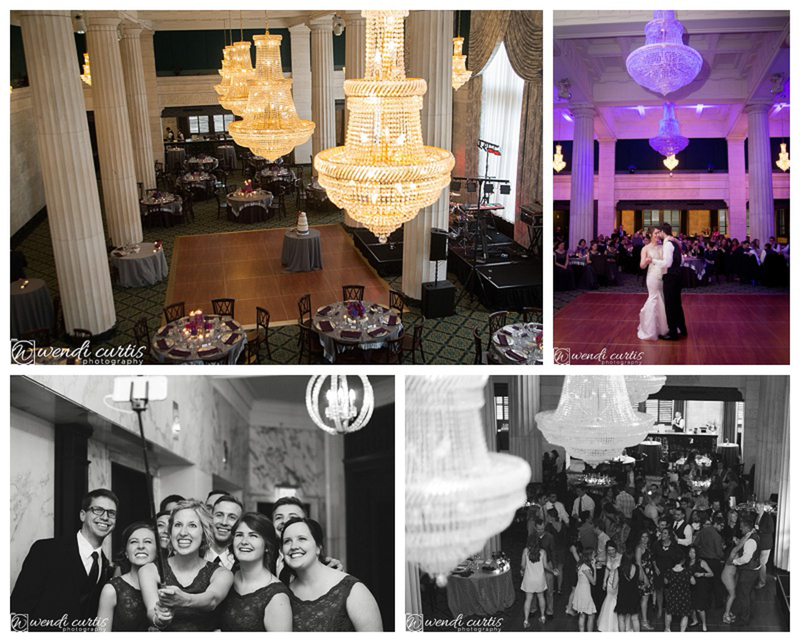 The reception took place at the glamorous McKay Tower Ballroom. 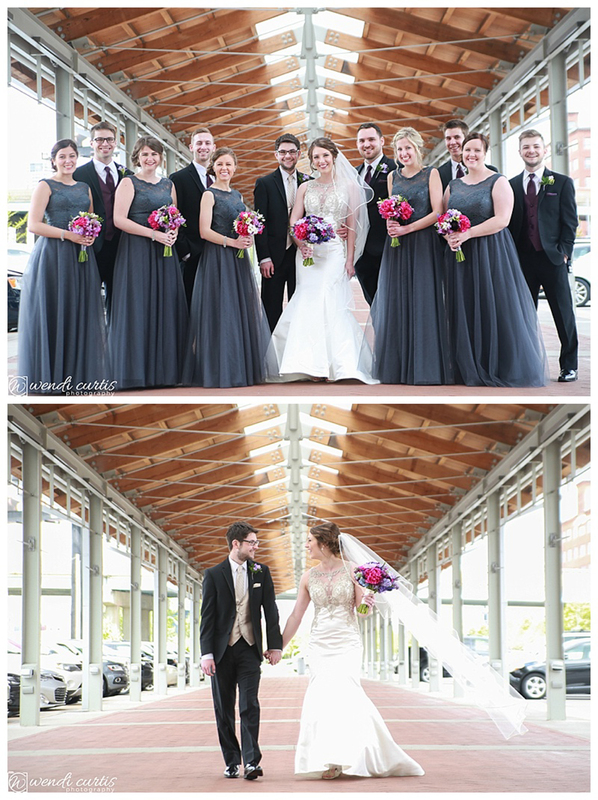 The most delicious cake came in four different flavors from Sweet Heather Anne. 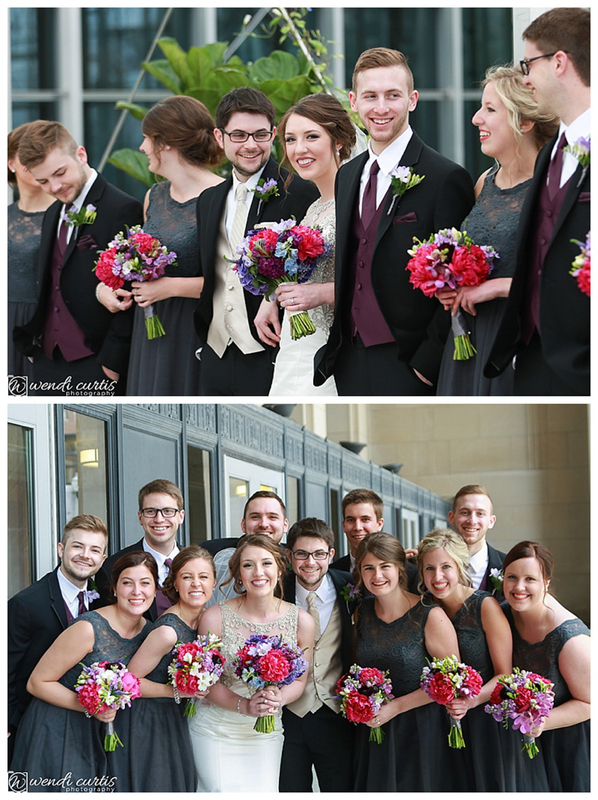 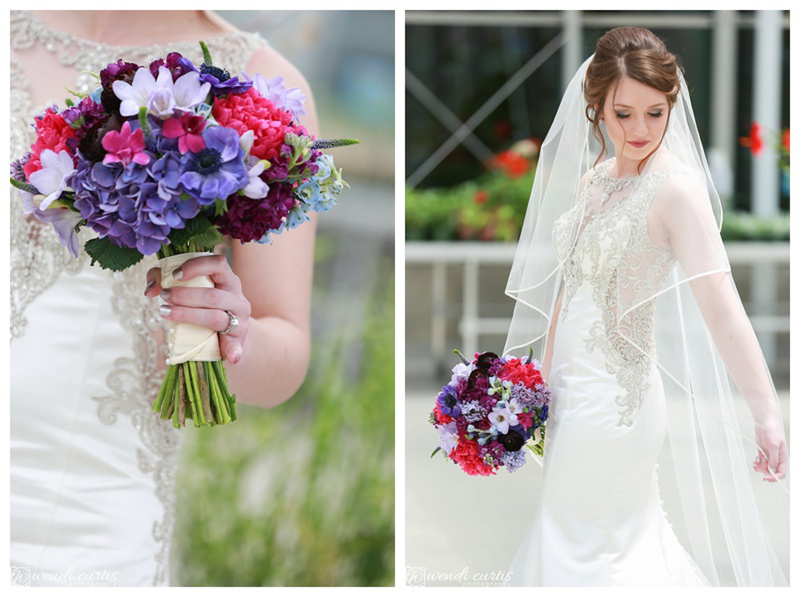 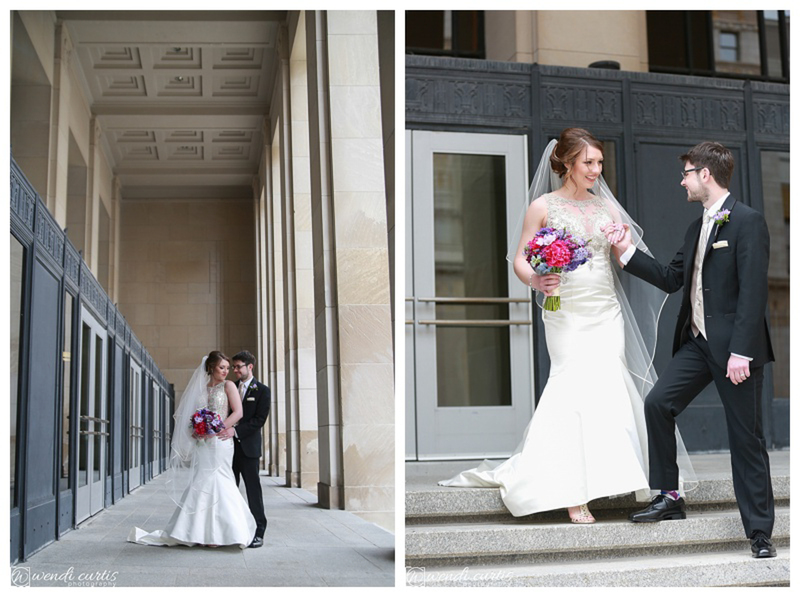 The gorgeous bride and her exquisite details and locations of this day definitely qualify this wedding as one of the most beautiful downtown Grand Rapids weddings!! 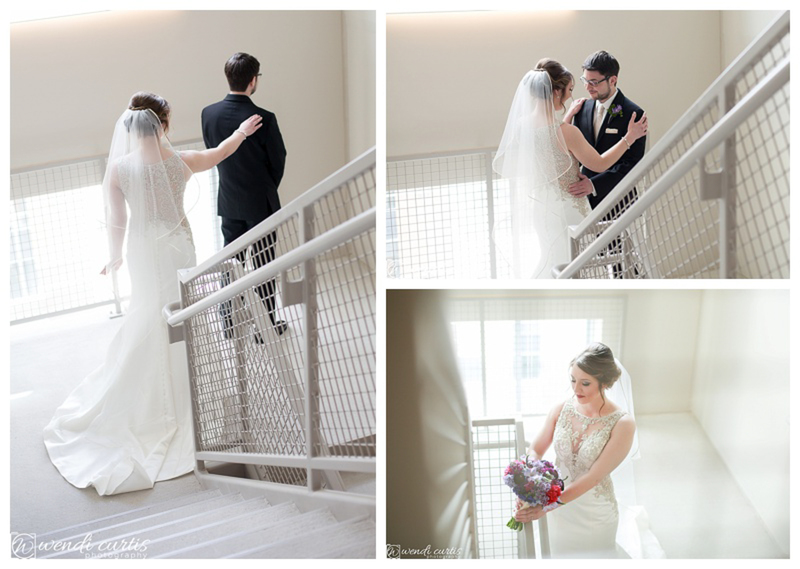 I was so blessed to document this special day! 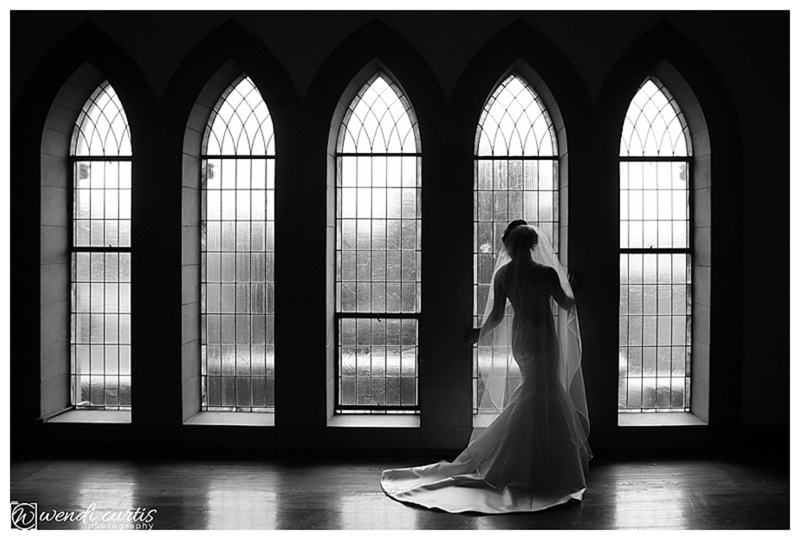 Why are Wedding Albums and Books Important?